Kimonos are so versatile. They can cover you up at the beach or pool, be worn with shorts and a tee, or used as a light cover-up over your favorite little black dress. 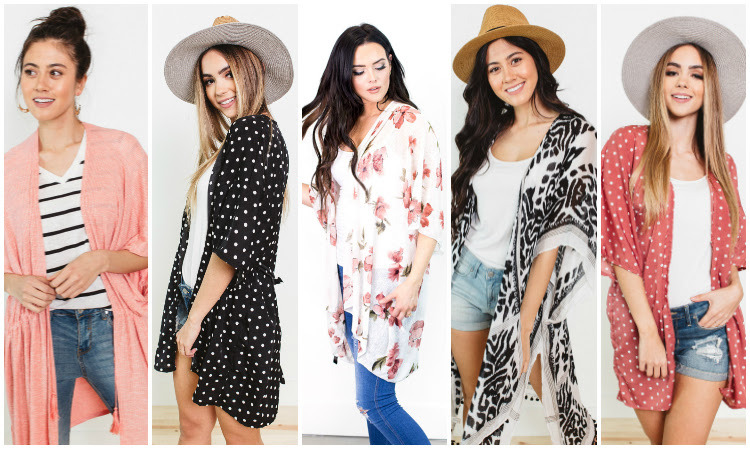 Kimonos can hang loose and open, can be knotted at the waisted or even belted to give you different looks. Plus, with their over-sized perfection, they look good on every body type. Cents of Style has some starting as low as $4.97 SHIPPED! (These are little girl kimonos) And they have plenty new and fresh styles for women for under $15 and FREE SHIPPING!